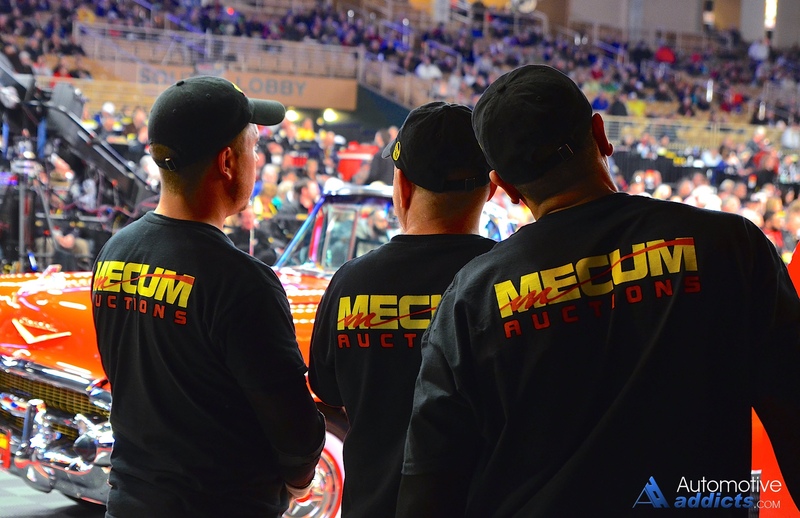 Our good friends at Toyota invited the AutomotiveAddicts.com team down the road to Kissimmee, FL to attend the latest Mecum auction. 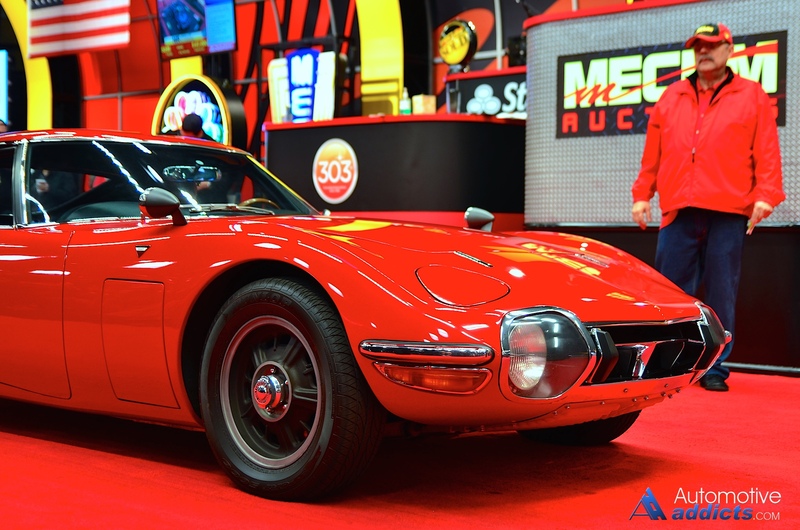 Toyota wanted to highlight one of their very own classic creations, the infamous 2000GT, which marked a pivotal point in automotive history to bring forth a true Japanese sports car to the market even if it was in extremely small production numbers (only 351 made and only 62 made for the U.S. market). 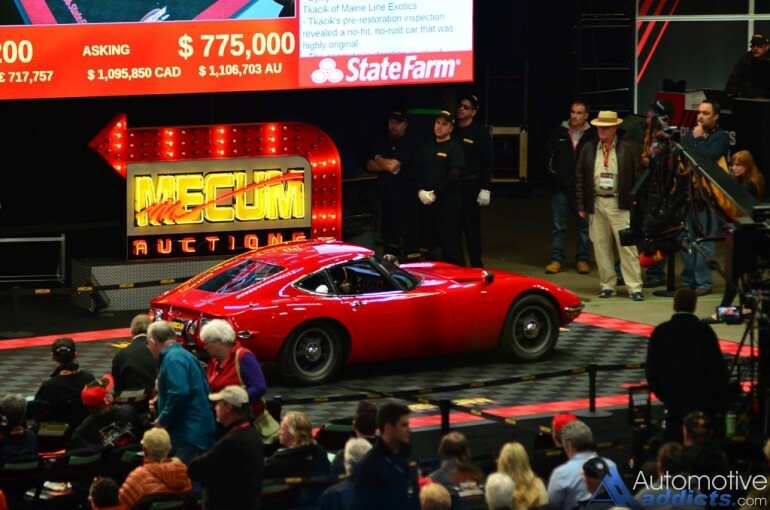 The fine example that was to cross the Mecum auction block is a 1967 Toyota 2000GT in red restored by 2000GT specialists here in America. The vehicle’s estimated value has hovered around $800,000 over $1 million. 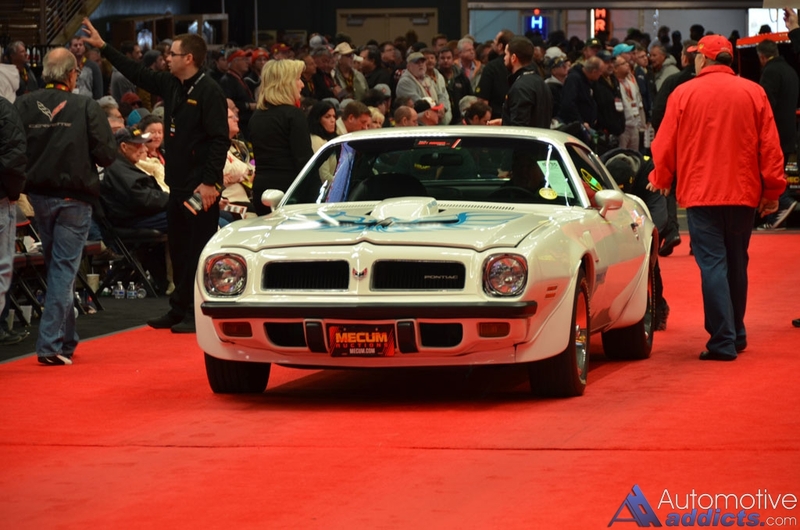 Unfortunately, the top dollar seen at the auction resulted in a no-sale at $775,000. 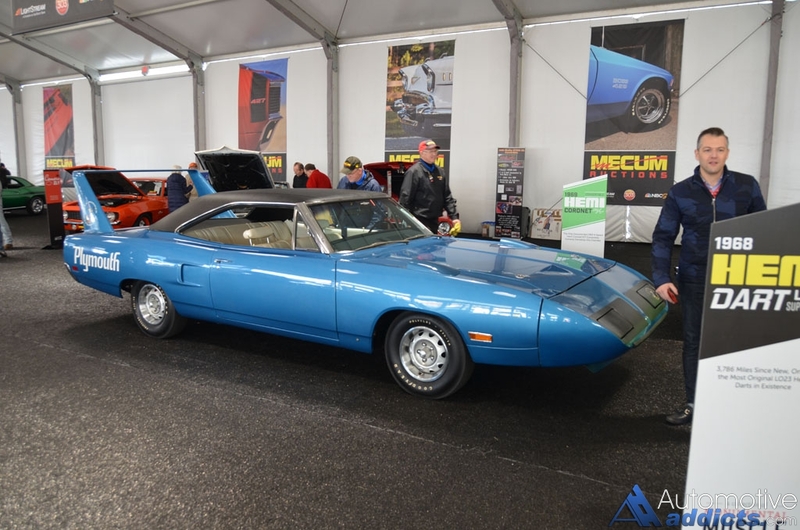 However, for us, the Mecum auction experience was a delightful treat with many other spectacular vehicles that captivated us going across the block and on display in the many tents on the Osceola Heritage Park grounds. 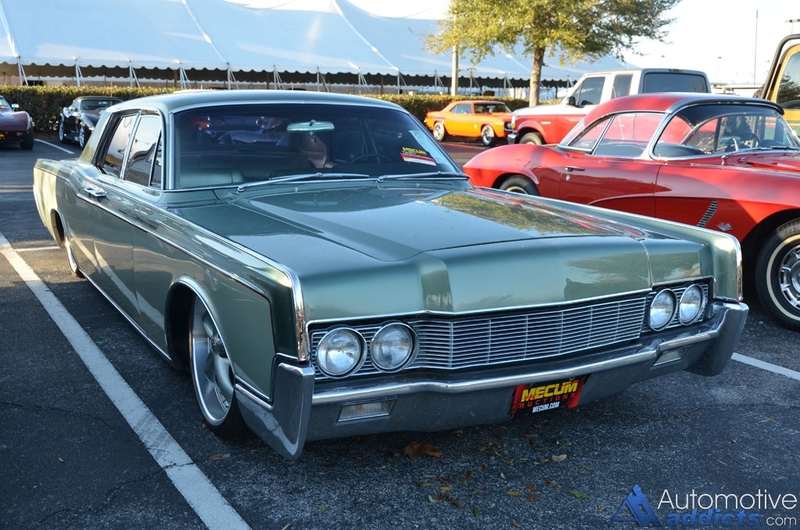 Our time at the Mecum auction in Kissimmee proved to be one of the best “car shows” around with about 3,000 vehicles, ranging from classic one-off creations to exotic monsters that have set record lap times on famous tracks. 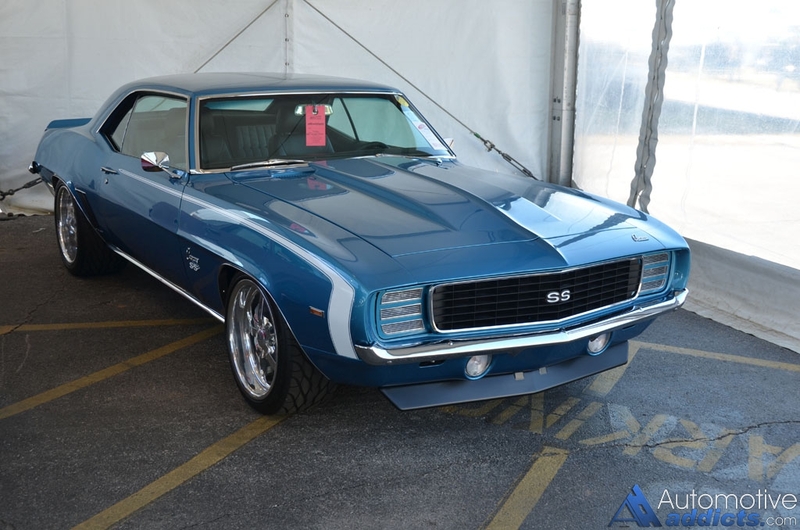 Muscle cars were abound as well as low-production gems that hammered a price of over $2 million in some instances. 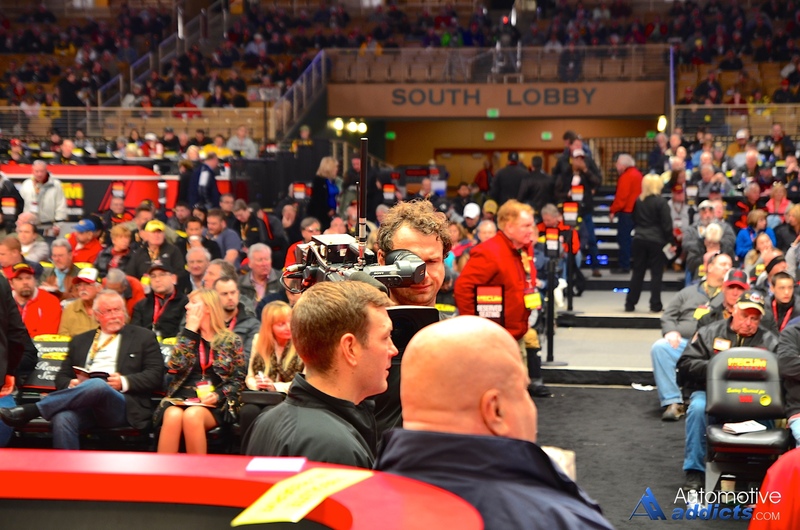 If you are ever in the area over a Mecum auction, its well worth the price of admission to join in on the festivities of a true automotive spectacle. 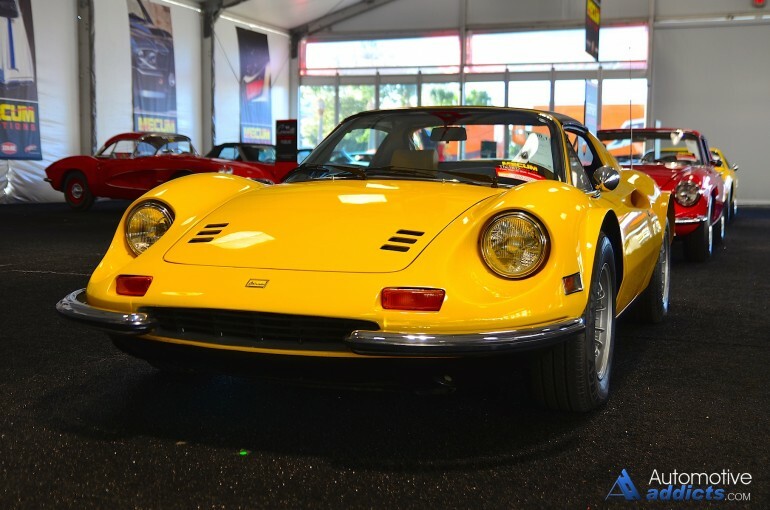 Oh, if you have the means, place a few bids – you could walk away a very happy camper with a set of wheels that you always wanted. 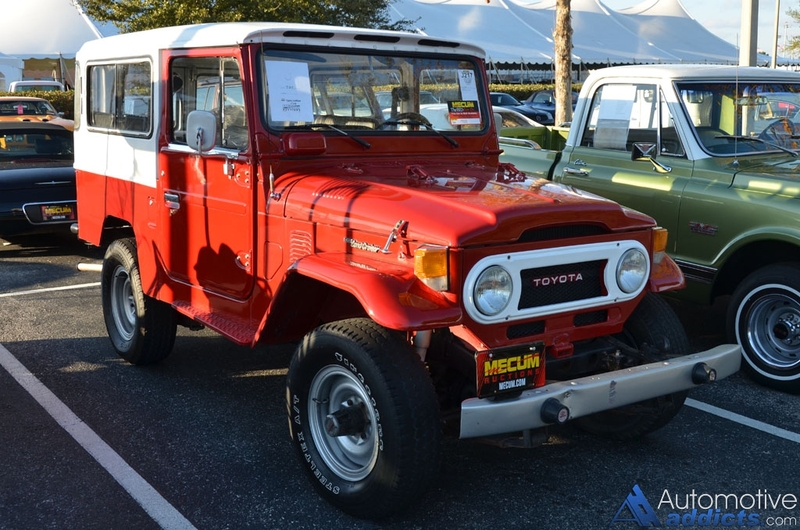 Japanese products were gaining respect in the late ‘60s, but few in the United States thought of their auto industry as world class. 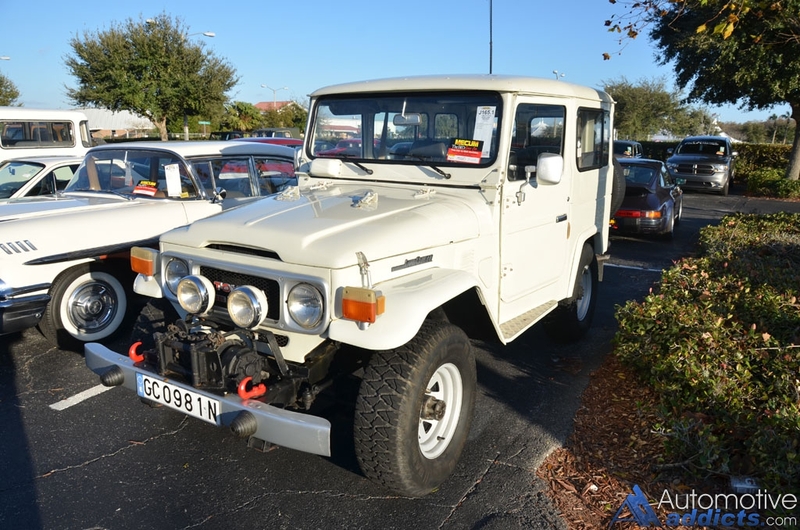 In 1965, Toyota changed that with one car, a $6,000-plus GT. 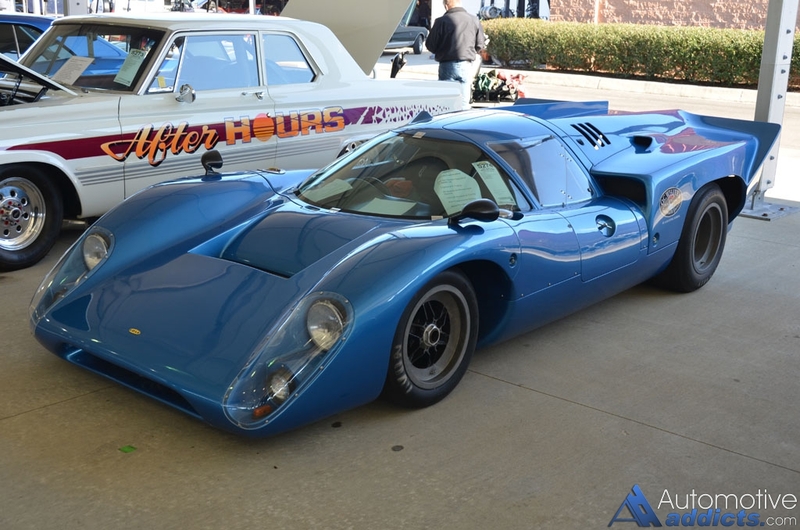 At that price, however, they only sold 62 in the United States between 1967 and 1970, of which this is one of three from the collection of Sebring and Watkins Glen veteran Otto Linton. 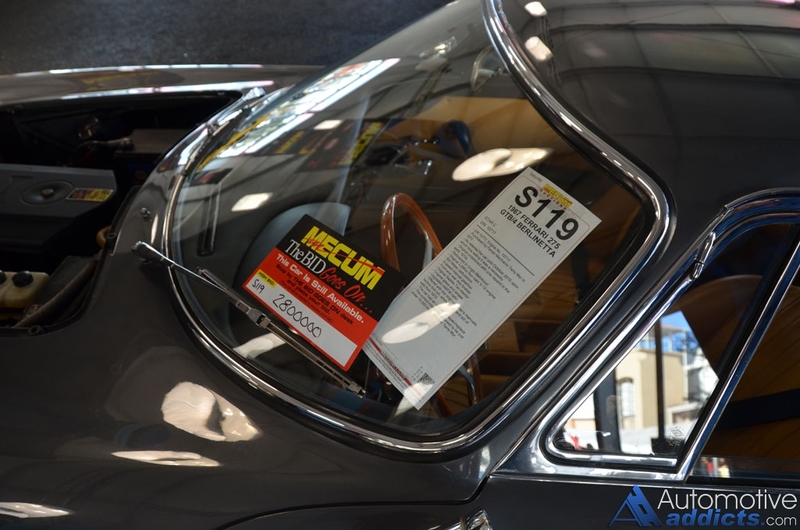 The car’s superb provenance includes several decades as part of the Jacobson Collection and in succeeding years, it has been owned by only three other discerning collectors.Always treated with the deepest respect by its owners, it has been sympathetically restored by America’s foremost Toyota 2000GT specialists, Robert Tkacik and Peter Starr at Maine Line Exotics. A very well-preserved and authentic specimen prior to the restoration, Mr. Tkacik considers this car a top-shelf example of what many enthusiasts consider the greatest Japanese car of all time.Toyota had an idea: with pure determination, the company could catapult itself forward several generations. There would be no evolution, Toyota would just take itself from Point A to Point E and skip everything between. 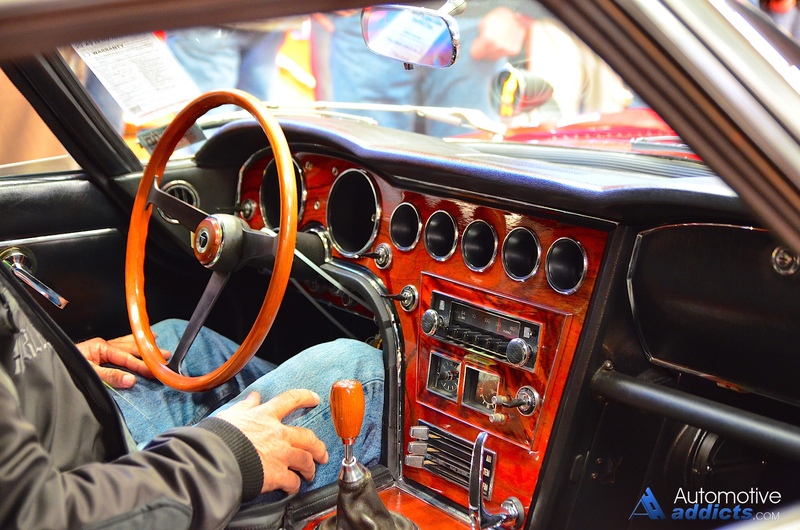 To do so would require not just iron will but also an unprecedented financial and engineering commitment.By the late 1950s, Japan had started building sports cars: Datsun’s Sports 1500 roadster appeared in 1959 and came to America in 1963; and Honda’s first production automobile was the microscopic S500. 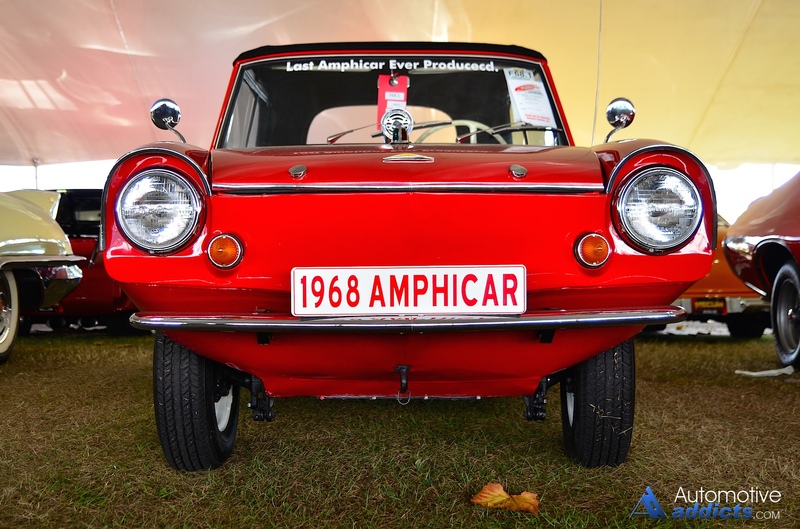 Toyota was justifiably proud of its own little sports coupe, the 45 horsepower, twin-cylinder Sports 800, and it did well in domestic racing, but you’d be hard pressed to call it competition for anything outside of an Austin-Healey Sprite. 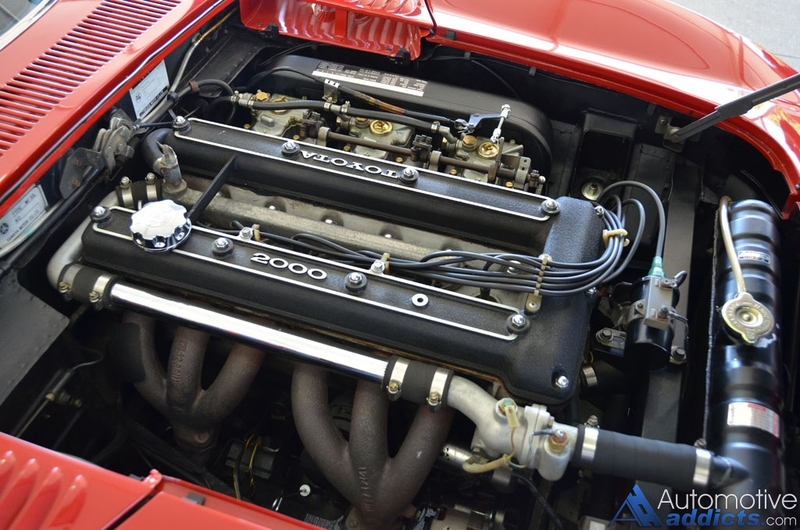 Much as in England, Japan’s Post-War austerity encouraged small, thrifty cars and few sporty cars had engines over one liter.But after major domestic racing successes in the early ‘60s, Toyota began work on an automobile designed to compete with the new crop of premium European GTs, specifically the Jaguar E-type, as well as the Porsche 901 (soon called 911), Alfa Romeo 2600 and others. Project 280A was spearheaded by Toyota’s racing manager Jiro Kawano and his small team of around a half-dozen people, one of whom was stylist Satoru Nozaki.At the same time, Yamaha was attempting to expand its horizons as a sort of low-volume specialist subcontractor and had a four-cylinder sports car project called A550X ongoing with Nissan. 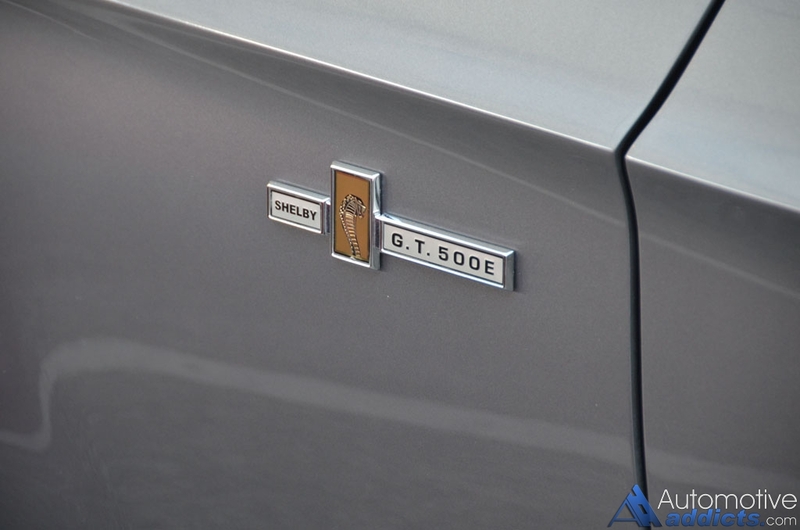 Nissan had worked with Yamaha before but in this instance, altered its course and cancelled the A550X.As Yamaha had substantial money and commitment invested in the A550X, the company shopped it to Nissan’s arch-rival: Toyota. 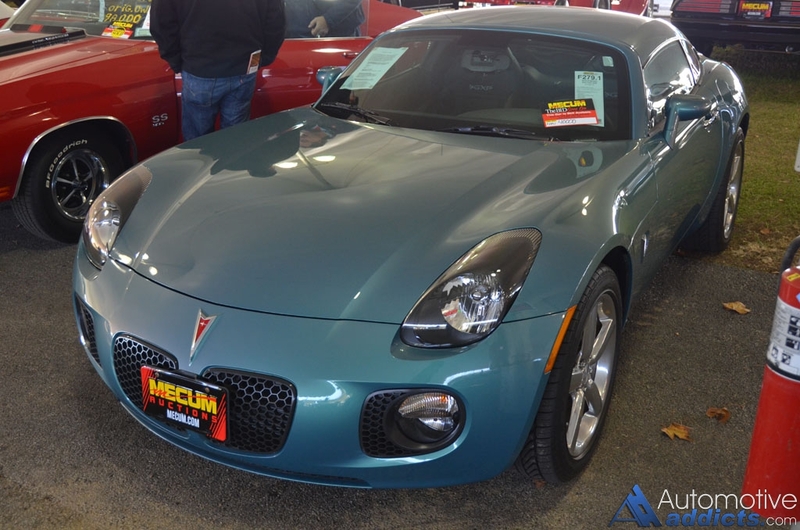 Since Yamaha would be assembling the limited-production sports cars, Toyota must surely have been pleased to avoid hand-building the engines and bodies. 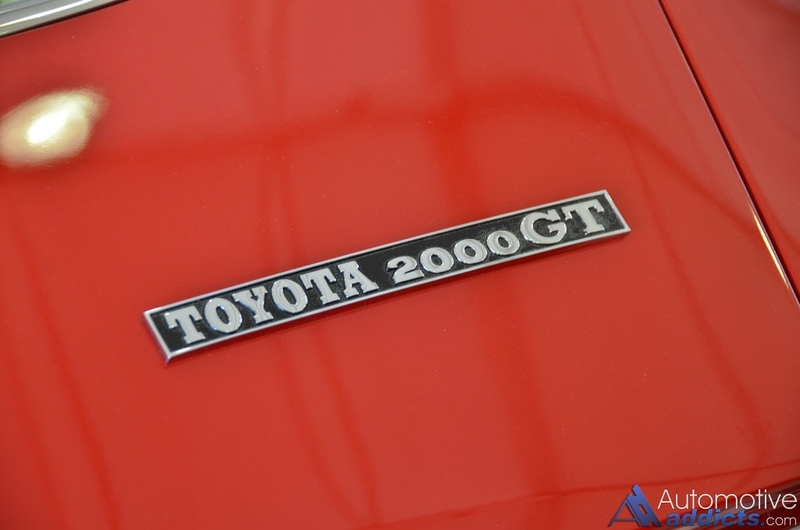 After that, a 2000GT prototype was swiftly completed for the 1965 Tokyo Motor Show in Harumi, where it stunned the world.Being coach built, there is more Yamaha in a 2000GT than Toyota. 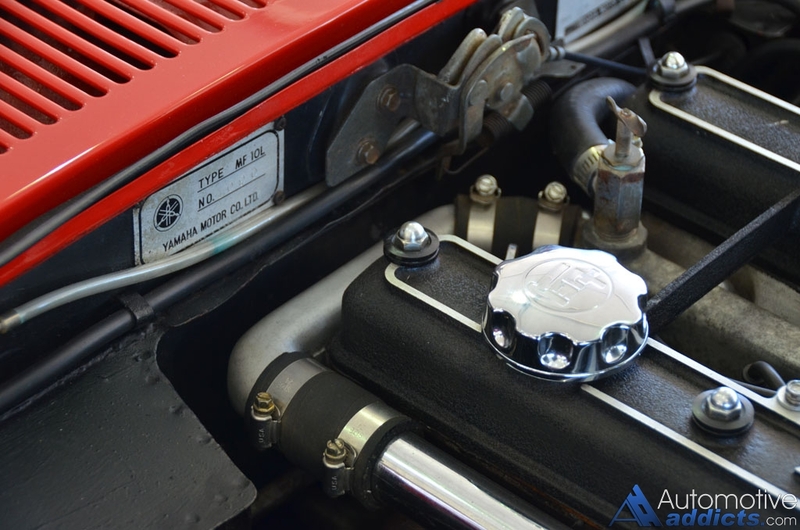 The iron block of the DOHC inline-6 came from Toyota’s SOHC MS41 sedan engine, but Yamaha produced the alloy Hemi head and forged pistons and hand built each one with triple 40phh two-barrel side-draught carburetors. 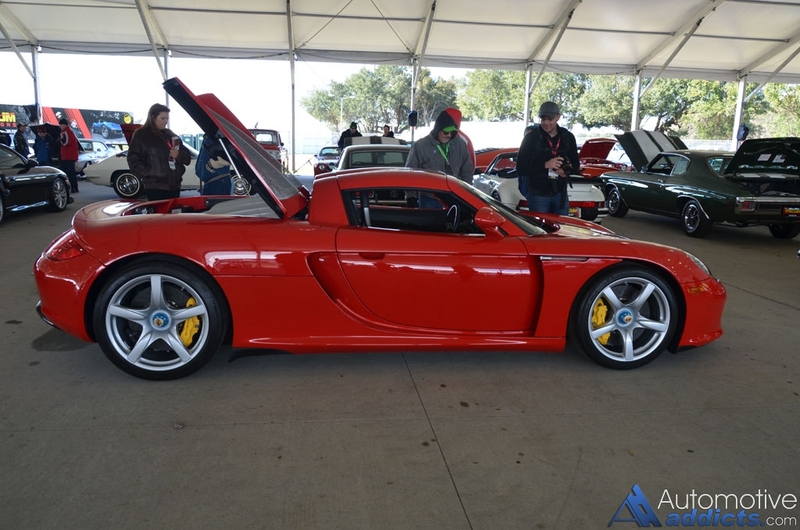 In street tune it produced 150 HP and 130-lbs-ft of torque; for racing, it was capable of 200 HP or more. 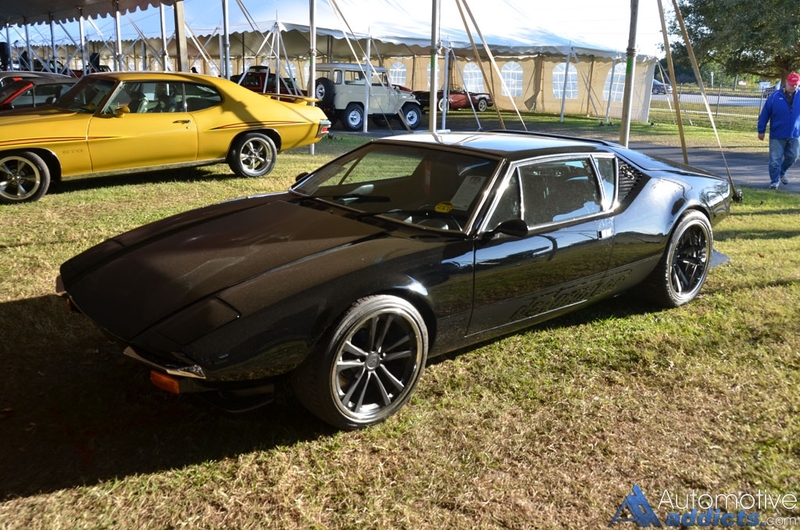 Satoru Nozaki’s body was turned directly from his scale clay model into body bucks, and as no one in Japan had a production line capable of producing the 2000GT’s complex, compound curves, the semi-monocoque steel body was hand built, with all detachable panels and trim being numbered specific to each car. 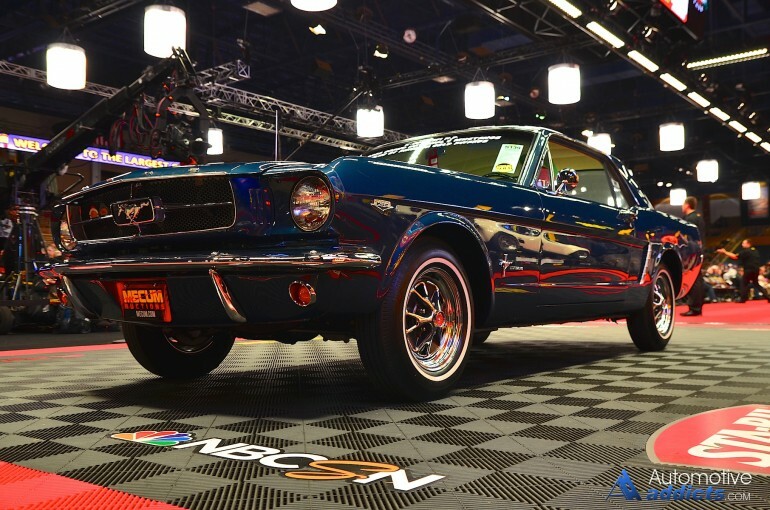 The impossibly low ride height of 3 feet 9 inches is made possible by a central beam, spine-frame with Ys at each end. 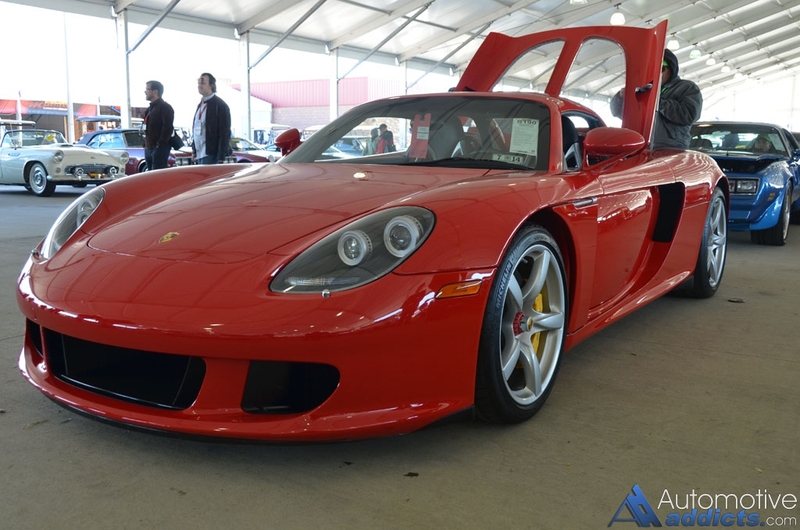 This also created a front-mid engine position and gave the car its famously perfect balance. Running gear and drivetrain components were beyond state-of-the-art. 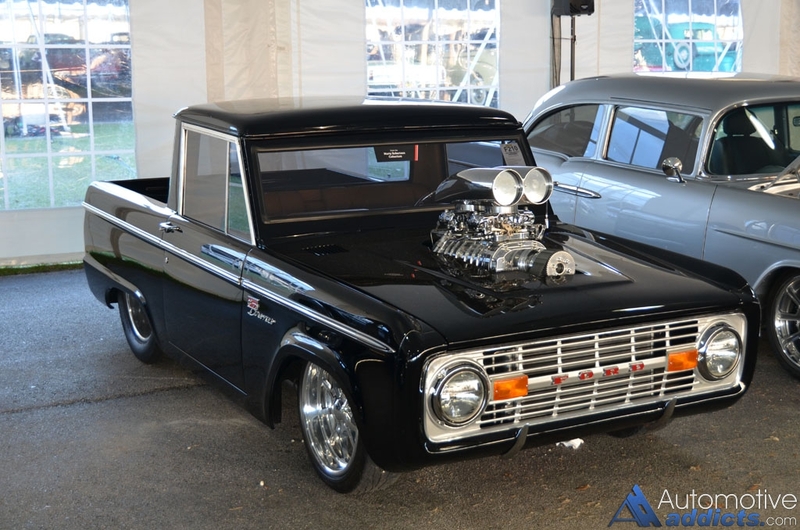 The only transmission able to handle the torque was an FA 4-speed from a Toyota truck, but by the time it became the GT’s fully synchronized 5-speed, it was a perfect match for the 7,000 RPM engine. 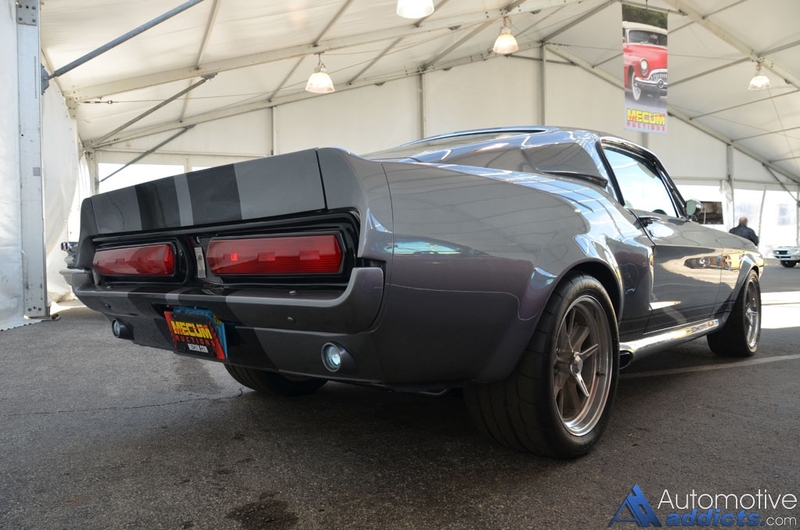 The rear end was Japan’s first limited slip, with a standard 4.38:1 ratio and three optional choices. 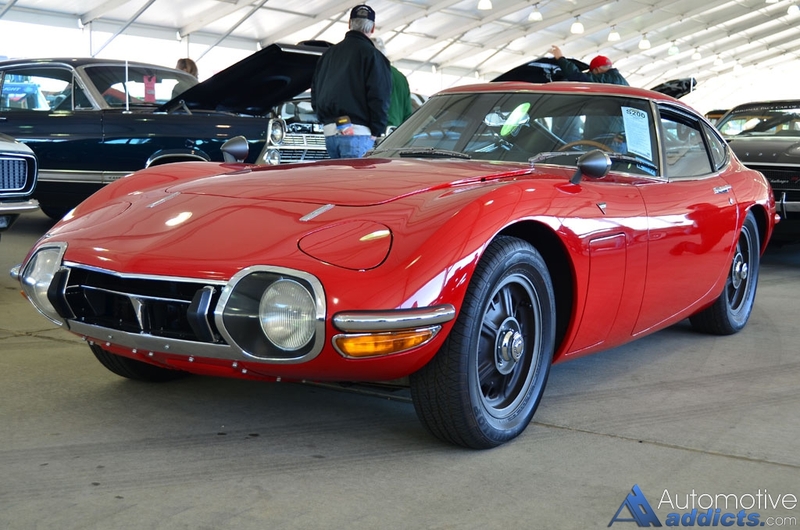 The 2000GT was Toyota’s first car to feature four-wheel disc brakes, which are Dunlop in this case; and the company’s first car with all-independent suspension, which employs double wishbones at all four corners. 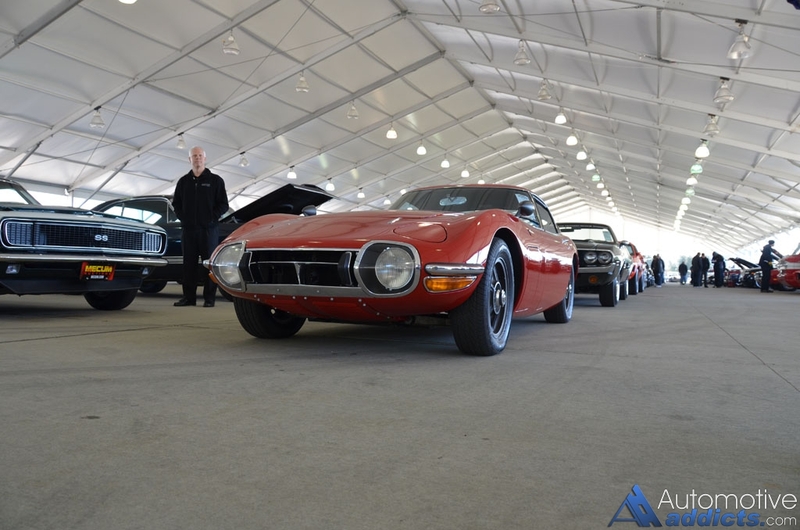 The 2000GT lived up to its Grand Turismo name. 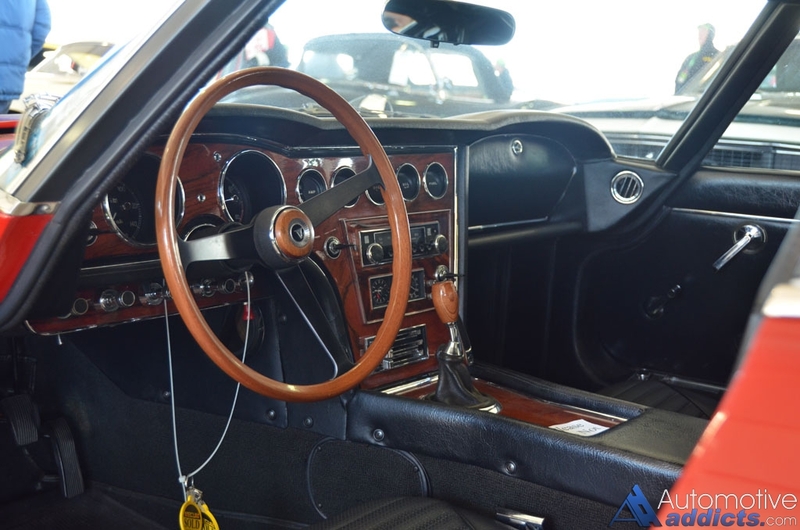 Owing to the world renowned artisans that Yamaha utilized on the project, having been building concert-quality pianos, guitars and other instruments for a century, the same craftsmen constructed the 2000GT rosewood dash and console and Mahogany steering wheel and shifter. 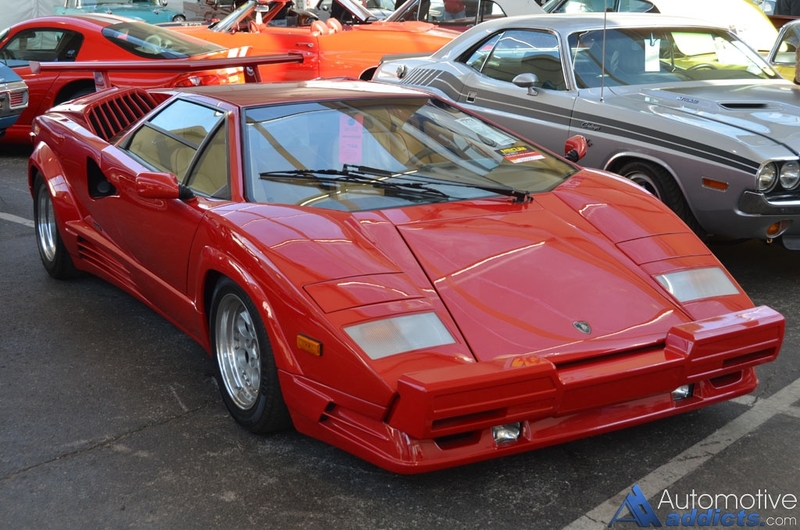 All instruments were chrome trimmed and watch-like in design and the deep Black perforated Tex-Mex style sport seats were the equal of any Italian exotic. Long articles have been written about Otto Linton’s career, but his racing life took off at the first post-war race at Sebring in 1948. 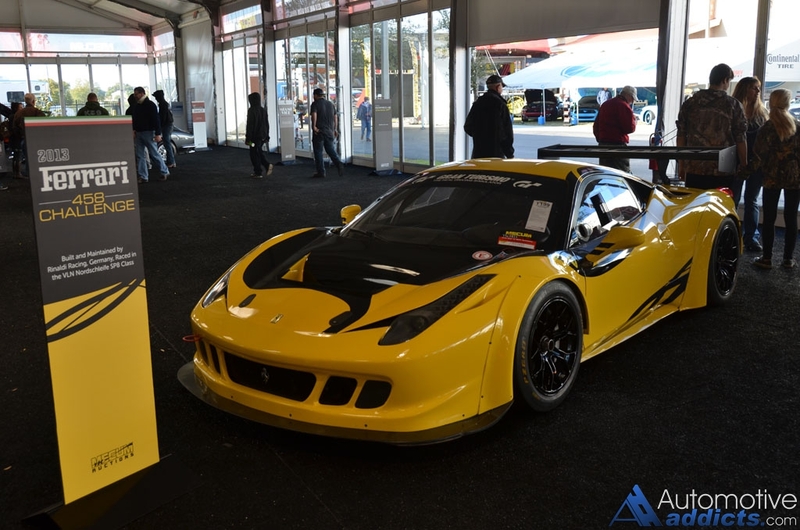 Over the next 16 years he ran at Sebring 11 times, as well as at Watkin’s Glen almost every year, in everything from his well-known Osca to a Stutz. 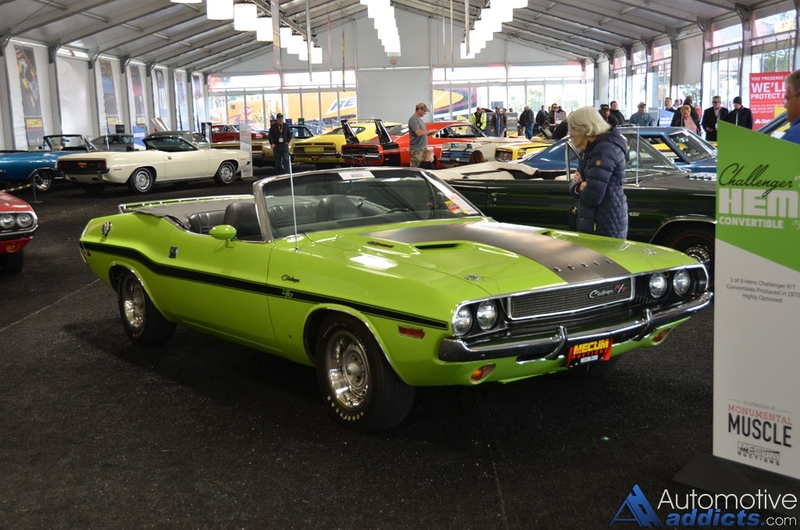 He drove equally interesting cars, once dropping a rod in his Duesenberg at 100 MPH while street racing on the Philadelphia Turnpike (he pulled the rod and piston roadside and went home on seven cylinders). 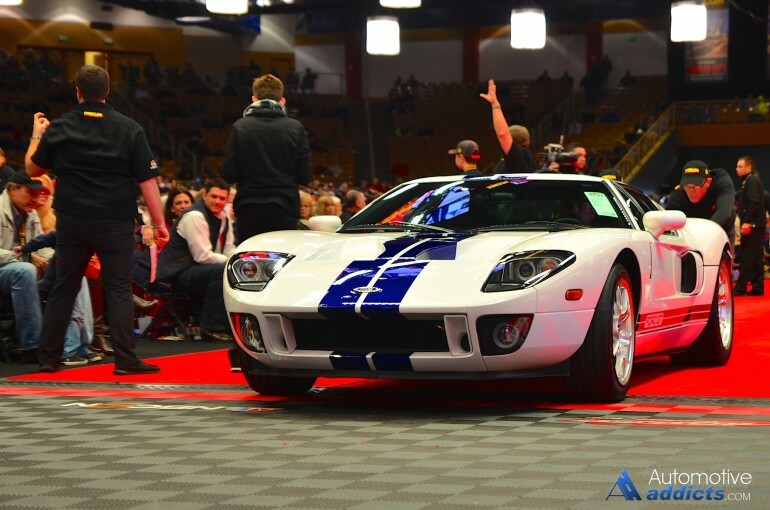 After his successful racing career, Mr. Linton founded Speedcraft Enterprises in Devon, Pennsylvania, specializing in both sports cars and racing preparation. 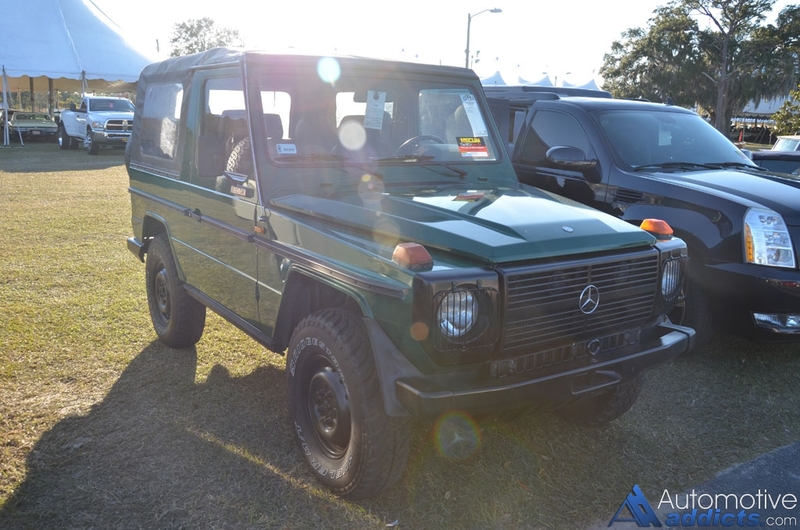 A relationship with the great importer Max Hoffman gave him access to a wide range of imports from MGs to Mercedes-Benz 300SLs. 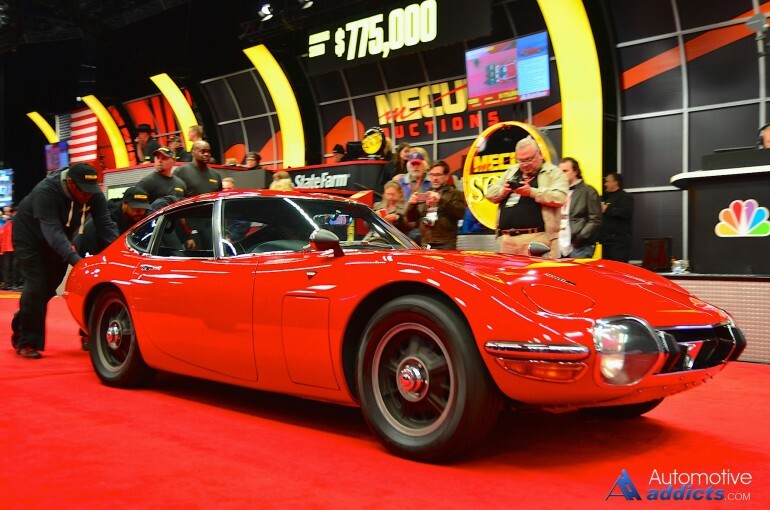 In 1966, he acquired a Toyota dealership and given his racing history, was immediately attracted to the Toyota 2000GT. 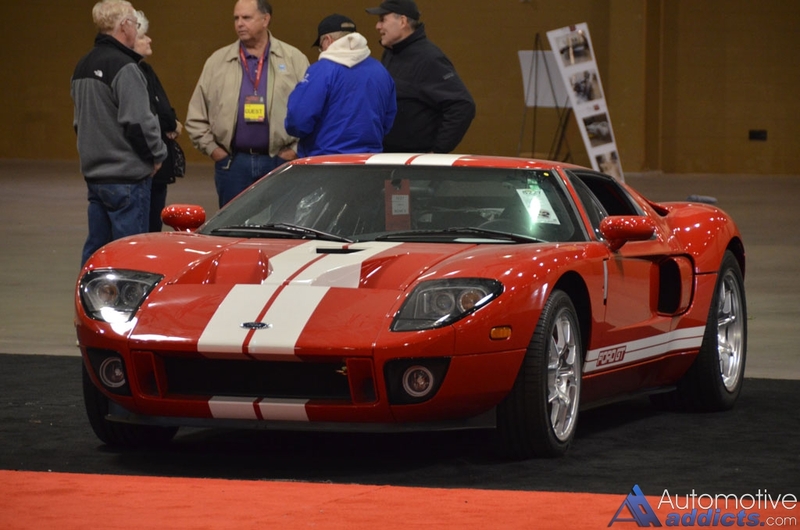 He owned three 2000GTs, and of the three, serial number MF10-10100 was stated by him to be his favorite. 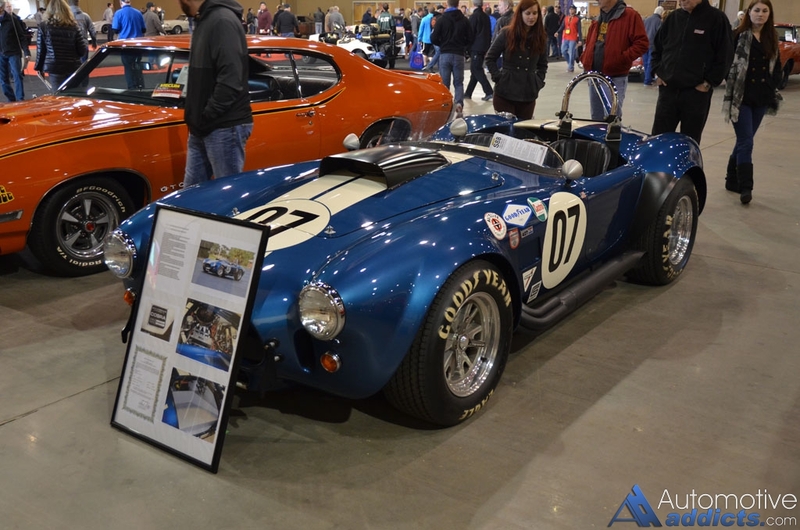 Otto Linton is still active and was recently inducted as a “Legend of the Glen” at Watkins Glen and celebrated his 98th birthday at the Simeone Museum in May 2015. 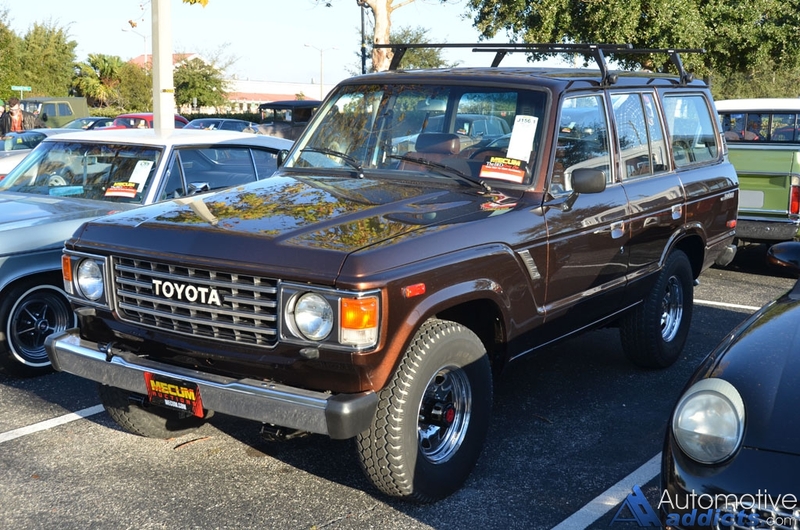 After Mr. Linton’s stewardship, the car was passed to four succeeding collectors: the Jacobson Collection at Richard Toyota in Scranton, Pennsylvania; the collection of Sara and Brown Maloney in Washington State (who successfully drove the car in the 2010 Copper State 1000); and two private collections since. 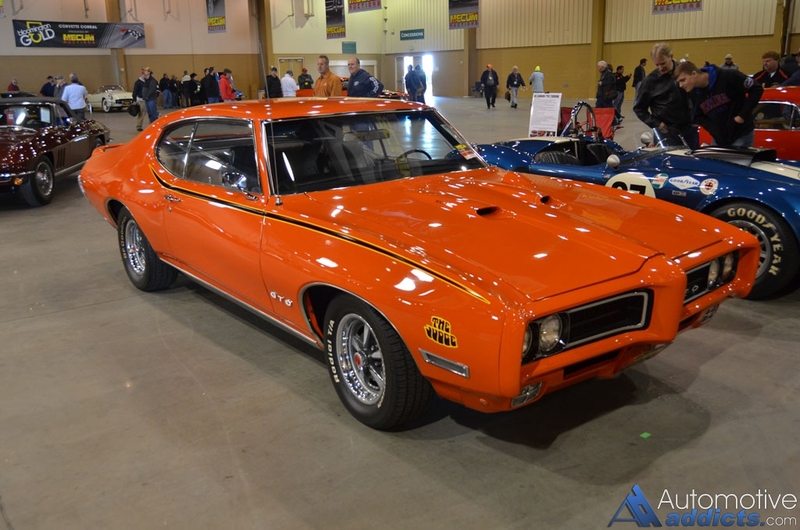 It was brought to marque experts Robert Tkacik and Peter Starr at Maine Line Exotics, who have owned or restored more than 50 U.S.-market 2000GTs since 1976. Mr. Tkacik’s inspection confirmed the originality of the car finding no evidence of any alteration or accident repair. 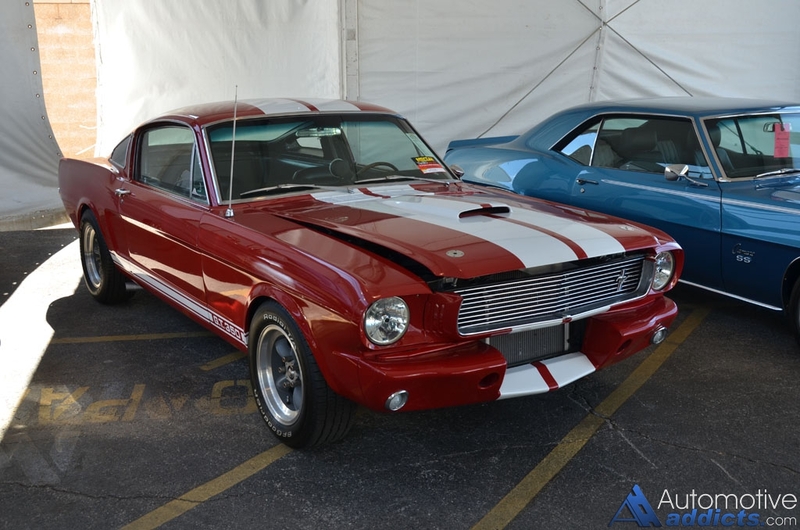 Its original character and details were carefully preserved during the sympathetic restoration performed in 2007; when the car was stripped to bare-metal and refinished in its original factory-correct color of Solar Red. 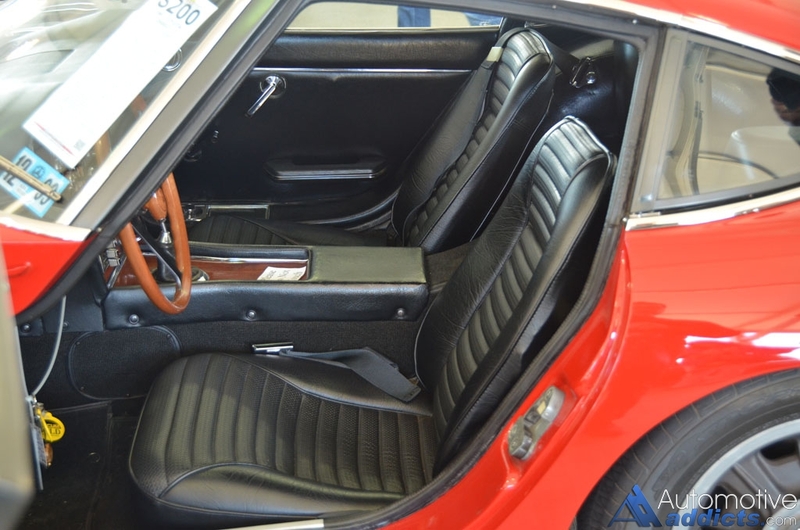 Today, this car presents in splendid condition, with a grade of authenticity and correctness that is supported by the foremost Toyota 2000GT authorities. 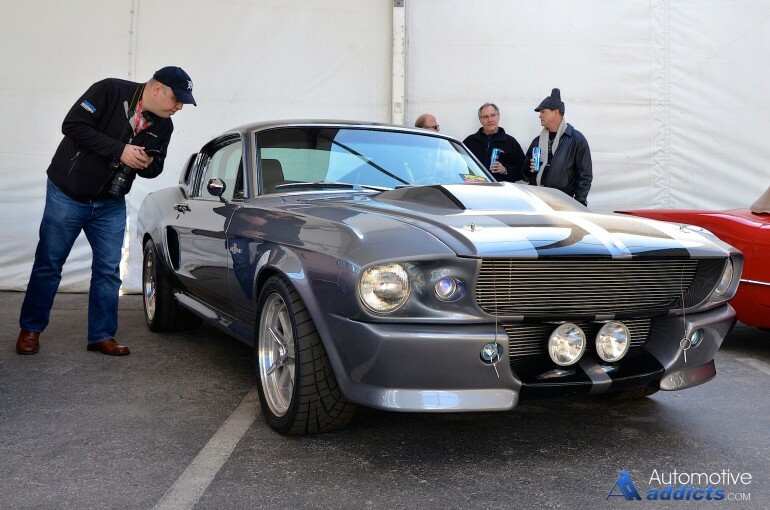 The world’s appreciation of the 2000GT was soon apparent. 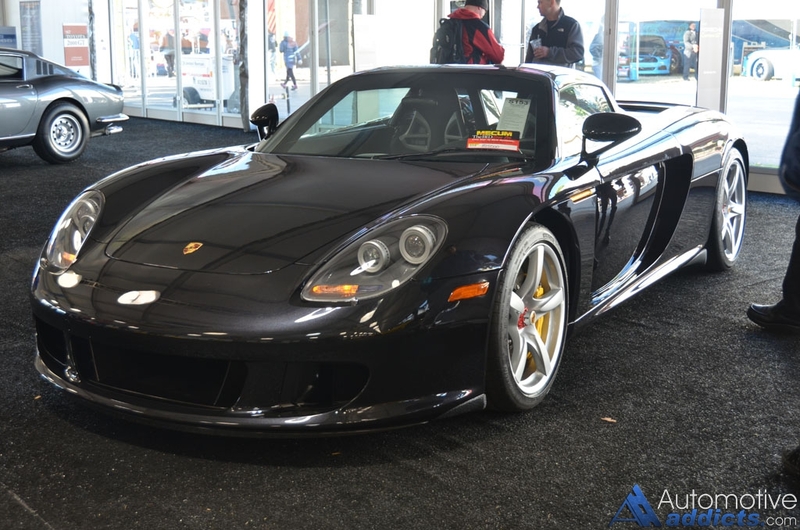 A total of 62 were sold in the United States out of 351 worldwide, and values tripled within 10 years. 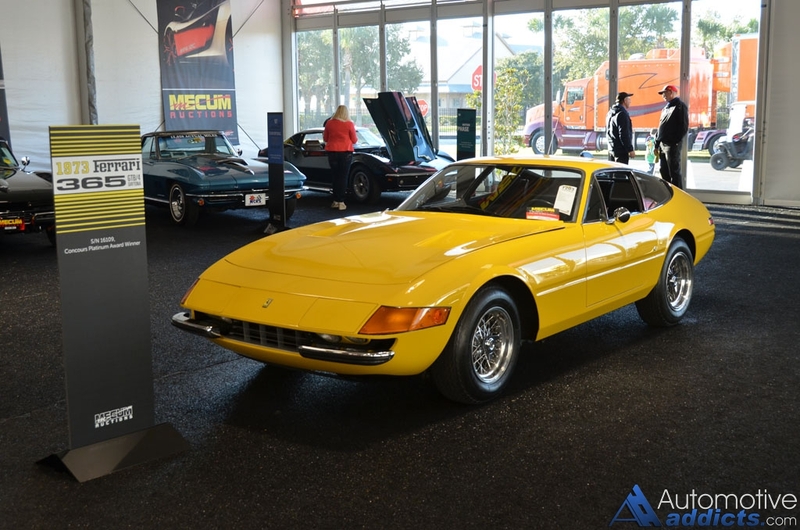 The 2000GT is now the equal of a Mercedes-Benz 300SL Gullwing or the BMW 507 as one of the most collectible post-war sports cars and arguably the most desirable Japanese car ever made. 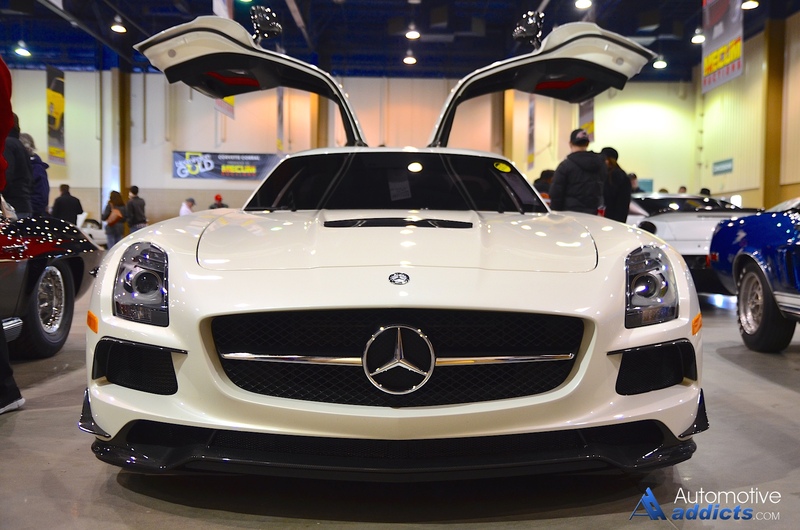 Some cars inspire us because their aesthetic beauty; others because of their performance and character; and the truly great cars do both. 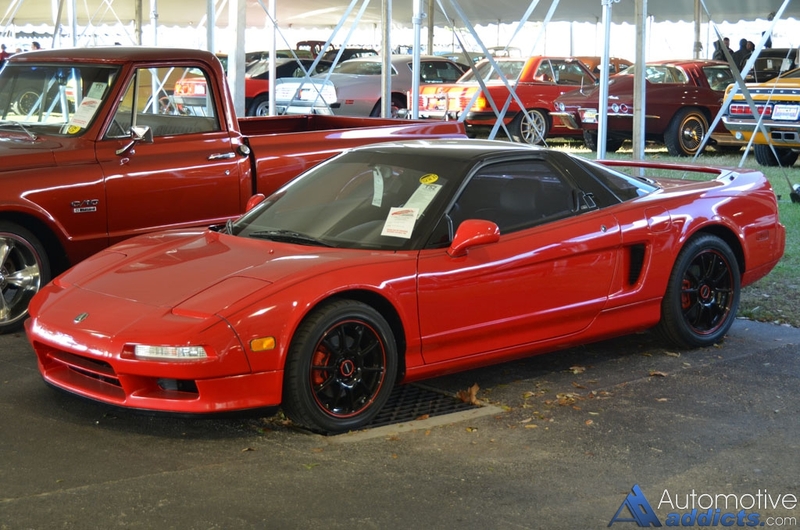 But unlike Italy or America, Japan didn’t have a cultural heritage of high-performance cars. 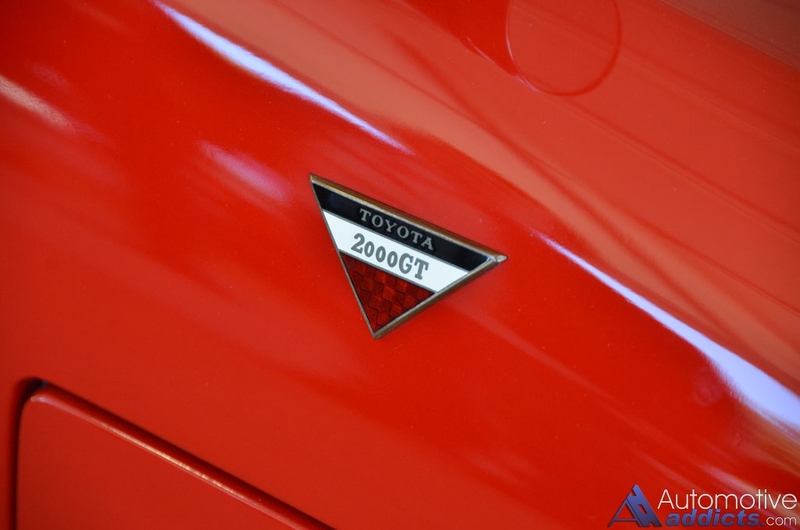 The Toyota 2000GT is without compare, having no rivals in its day in Japan. 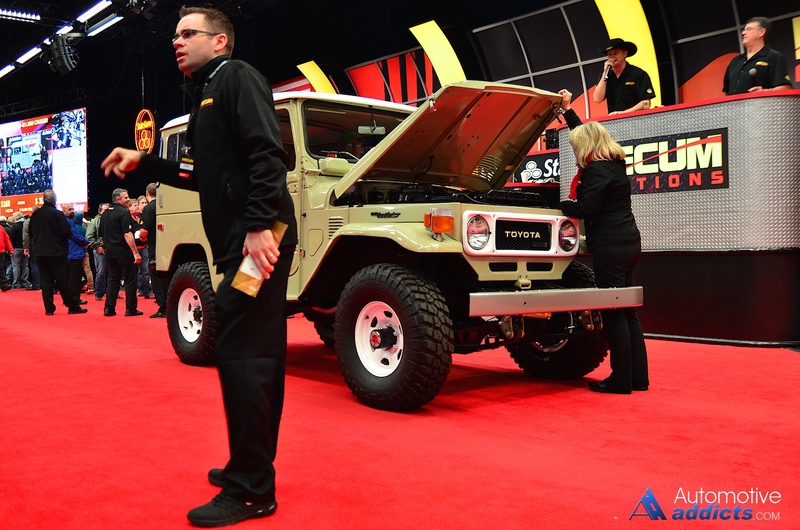 It didn’t remotely resemble anything else that Toyota had ever conceived. 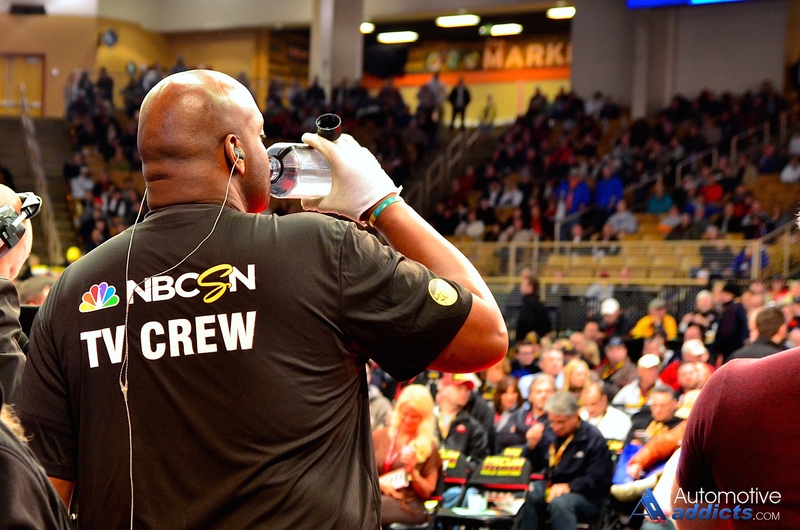 It was created in a world where there was no competition and is all the more impressive for that. 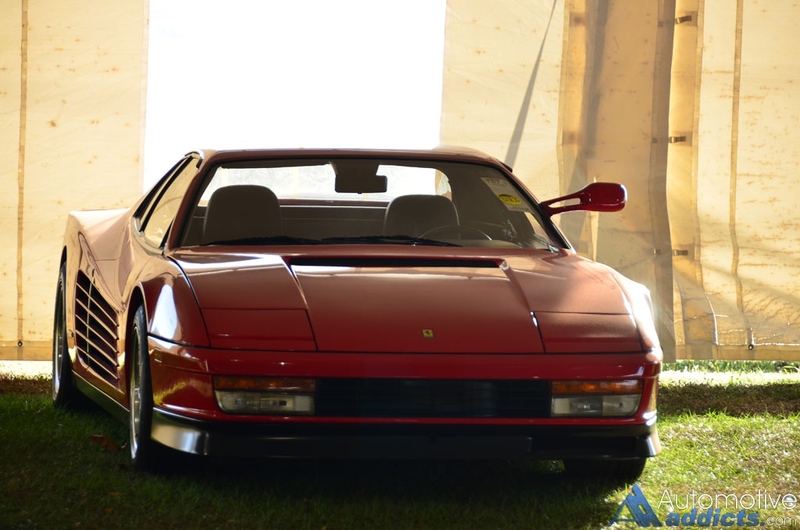 Today, it stands as one of the high points that define the 20th century automobile. 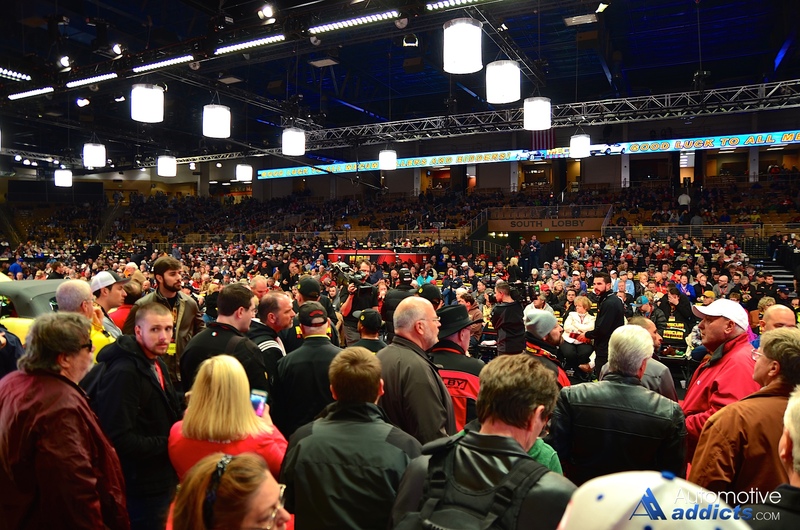 WALWORTH, Wis. – Jan. 28, 2016 – The Mecum Kissimmee Auction, the world’s largest classic and collector car auction, held Jan. 15-24, was a powerful force to be reckoned with claiming the title of highest-grossing sale ever hosted by Mecum. 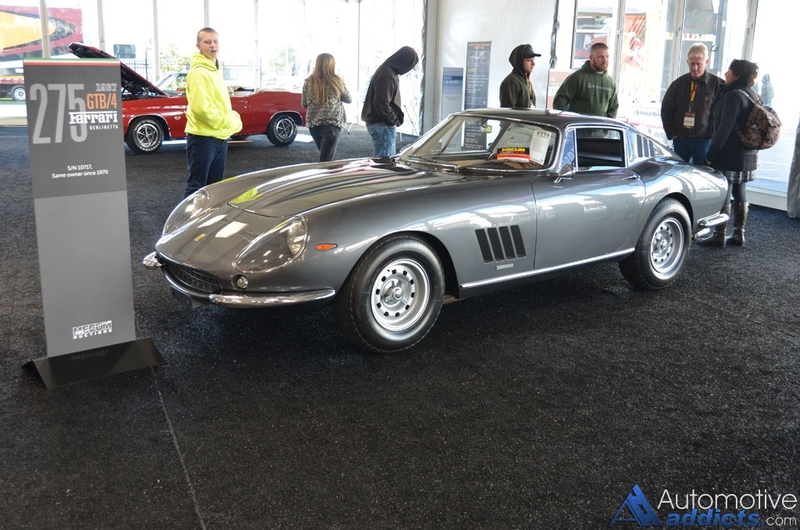 Overall sales totals topped $91 million and are quickly closing in on $93 million with post-auction sales. 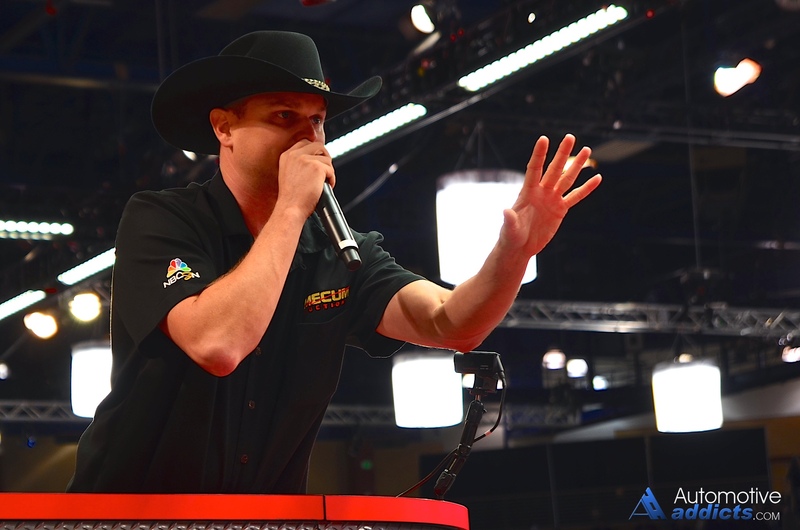 The 10-day auction totals constitute a near 30-percent increase over last year’s Kissimmee auction with individual vehicle sale prices up by an average of 20 percent. 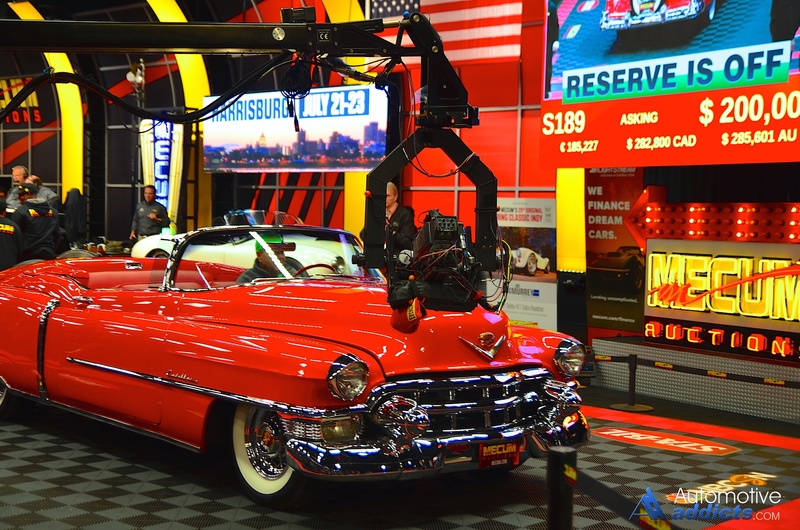 The two full Road Art-exclusive days brought outstanding sales in the memorabilia realm as well with 1,300 items sold and top sales including a rare porcelain sign and a vintage gas pump globe, each of which sold for $55,000. 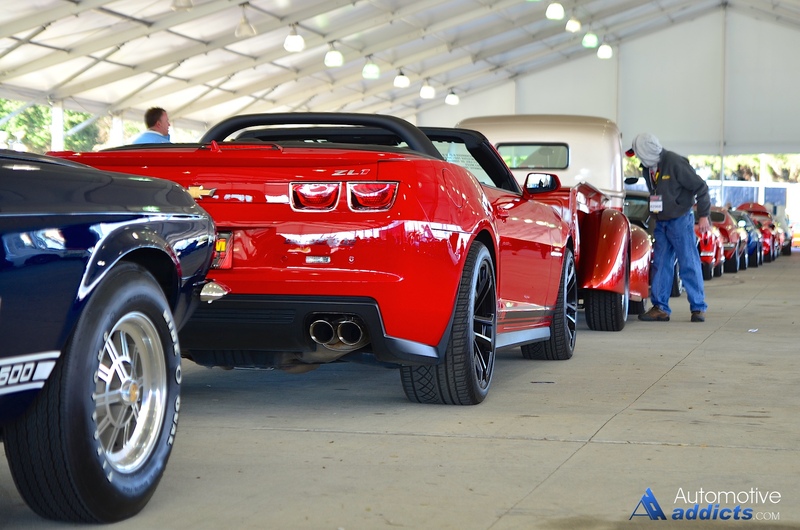 “The jump in totals, the rise in individual vehicle values and the 78-percent sell-through rate we achieved are evidence of the extremely high quality of the vehicles and Road Art offered at the 2016 event as well as the strong demand. It’s a clear indication of the thriving state of both the collector-car and memorabilia markets,” notes Mecum Auctions’ President and Founder Dana Mecum. 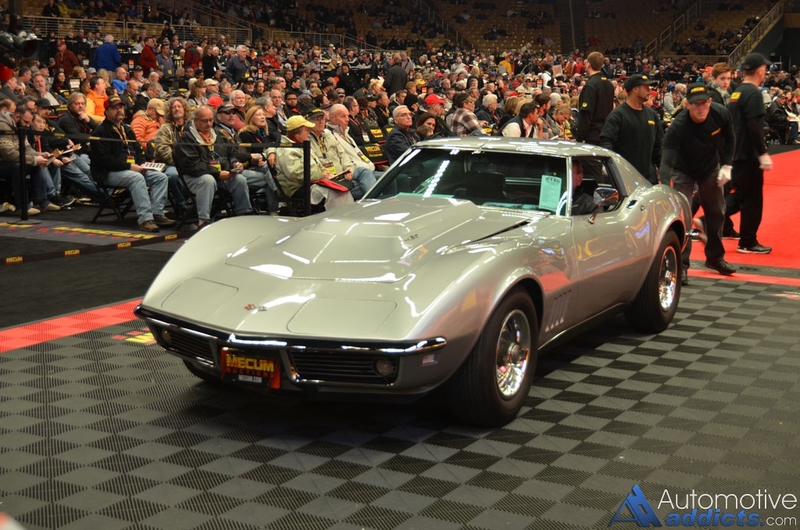 Nearly every segment of popular interest was represented at the auction including European exotics, Resto Mods, Supercars and of course Mecum’s bread-and-butter: muscle cars and Corvettes, both of which made a strong showing in the top 10 sales.